"Thanks for the feedback, everybody," CarmenZ wrote. "In Windows 8, we wanted to provide a way for folks to view their photos on other services knowing there would be few (if any) apps in the store at launch that would do so." 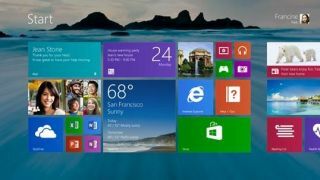 The official Windows 8 Photos app previously allowed users to access images from Facebook and Flickr directly within the app, much like Windows Phone 8 does, but no longer. Respondents in the Microsoft thread called the change a step backward, and from where we're sitting it seems to be exactly that. It seems support for Skydrive, Microsoft's cloud storage service, in the Photos app has been gimped as well, not to mention support for photos on network storage. "The new Photos app in the Windows 8.1 Preview includes several enhancements. This includes the ability to edit and organize your local photos in one seamless experience that is deeply integrated into your Windows device. While the new Photos app currently only includes those photos stored locally, our intent is to continue to provide richer functionality, enabling you to view, edit and manage more photos. However, we have nothing more to share on that right now." The Photos app may be moving backward, but it seems Microsoft is finally giving its Mail app some power in Windows 8.1.